This spatula is the perfect kitchen utensil for cooking and baking. Made of sturdy, durable silicone, it has a unique slotted spatula blade that makes it the perfect blender blade scraper as well as ideal for scraping bowls and pans for maximum efficiency. 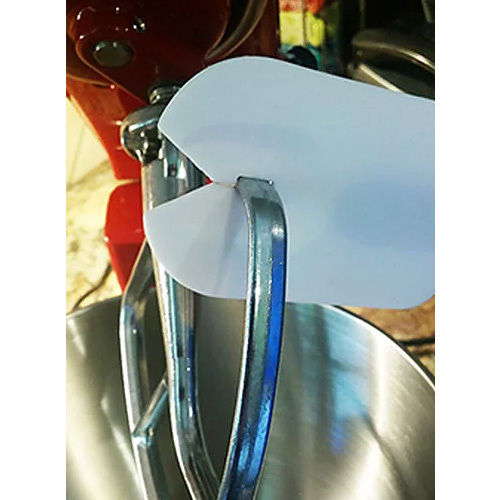 With semetrical, beveled edges and curved tip, it transitions from the mixer and the bowl to the ideal cake decorating utensil. Professionals and homemakers alike will value the easy grip handle and it’s non-stick, easy-to-clean surface. Ateco Pastry Bag Disposable. 12" - 10/Pkg. Focus Foodservice Silicone-Bottom Bowls, 3-Pc Set: 2 qt., 4 qt. and 6 qt.